Courts give ex-Kirchnerite VP five years and ten months in prison following conviction for bribery and conducting business incompatible with public office. Former vice-president Amado Boudou has been handed five years and 10 months in prison, after his conviction for bribery and conducting business incompatible with public office. Federal Oral Court 4 in Buenos Aires City ordered his "immediate arrest," and fined him 90,000 pesos. Boudou also served as economy minister during the 2007-2015 administrations led by Cristina Fernández de Kirchner. He was was accused of using shell companies and secret middlemen to gain control of Ciccone Calcografica, a firm handed contracts by the state to print bills for peso, Argentina's currency, as well as material for Kirchnerite election campaigns. In his closing remarks on Tuesday, Boudou took aim at the media, saying the intense media attention surrounding his alleged role in the so-called 'Ciccone money-printing ring' had put him a position where he had to prove his innocence. "This trial has been strange from the beginning, in that the responsibility of proof was inverted. I have had to proove I didn't know someone, prove I didn't attend a meeting," he charged, as the trial into the fraudulent acquisition of Ciccone Calcografica, the only facility in Argentina with the capacity to print legal tender in 2012, closed. Boudou claimed the media had "constructed" a story about his alleged role in the acquisition. "I never negotiated through third parties the purchase of 70 percent of the shares of Ciccone," he said. 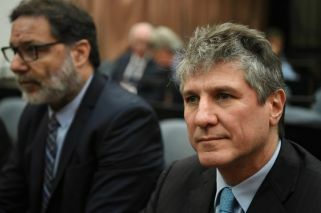 "The bribery has no basis nor any connection with any evidence because it never happened", Boudou claimed. He claimed the case formed part of a broader phenomenon in Argentina "of class revenge," saying "politicians in Argentina who decide to change realities are persecuted first in the media and then in the Judiciary." Boudou’s meteoric rise from middle-class beginnings in Mar del Plata began to materialise as he entered the National Social Security Administration (ANSES) in 1998. A decade later, he directed the ANSES and eliminated the AFJP private pension system. 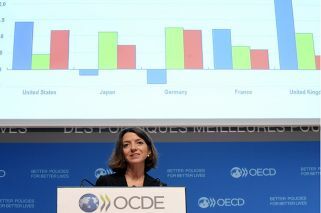 In 2009, he was sworn in as economy minister and in 2011 he became Fernández de Kirchner's VP. In a separate case, Boudou was arrested in early November 2017 on charges of money-laundering and illicit association. He was released from jail in January after a court ruled that he was unlikely to interfere in the case against him, which was the original reason he was jailed pending trial. His arrest in November last year came less than 24 hours after Fernández de Kirchner herself had lost a legal appeal against corruption charges, with a high court saying the prosecution’s case against her can go ahead. The federal appeals court upheld a previous ruling that the 64-year-old former head of state must answer charges of criminal association and fraud that stem from her 2007-2015 term in office. Last week, authorities carried out raids and arrested at least a dozen business leaders and former government officials as part of the 'bribery notebooks' scandal, while a local judge called on Fernández de Kirchner to testify August 13. The former president is currently a senator, a post that grants her immunity from prosecution. She has not spoken publicly since the scandal that was originally reported in the local press broke out. The former leader was indicted in 2016 and faces accusations in other cases involving alleged money-laundering, possible illegal enrichment and fraud. She has denied wrongdoing.